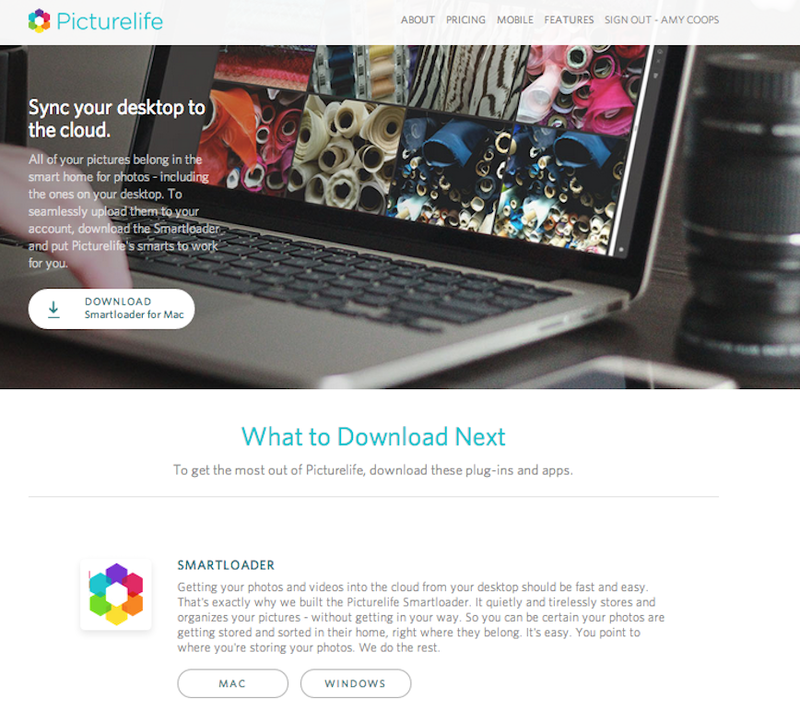 What is the Picturelife Smartloader? The Picturelife Smartloader for Windows and Mac is a free program that you install on to your desktop or laptop computer. Once you install the Smartloader and tell it which folders you want to upload pictures & videos from, Picturelife does all the work for you. The Smartloader, as long as you're logged in, searches for and uploads new and existing pictures and videos to your Picturelife library, directly from your selected upload sources. What are the Smartloader system requirements? Does Picturelife support OS X 10.6 or OS X 10.6.8? How do I get the desktop Smartloader? Once the file's downloaded, double click to open and follow instructions to install!